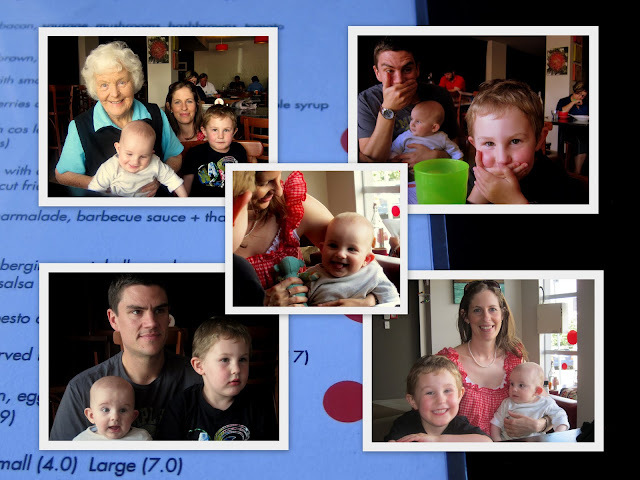 Thank you for blog and fabulous photos taken during Gee Gee's visit.How lovely to see you all in summer clothes and, goodness how your beautiful boys are growing. Cant believe I will be with you all in 12 days time!! Cant wait!! Gorgeous:) Hello from a fellow kiwi mummy! Great blog. ok this is random but your husband kinda has a dan carter quality in that bottom left shot!